Our first afternoon was spent walking around Cambridge. 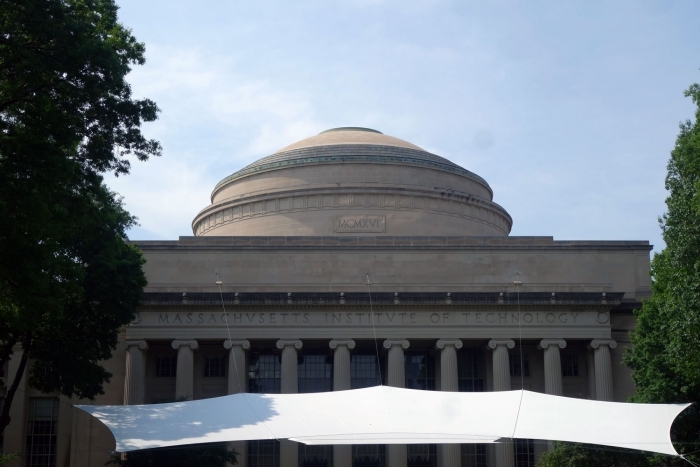 We started at MIT where they have a self guided tour or a free guided tour (which we just missed). We picked up the map and started following the trail it suggested. 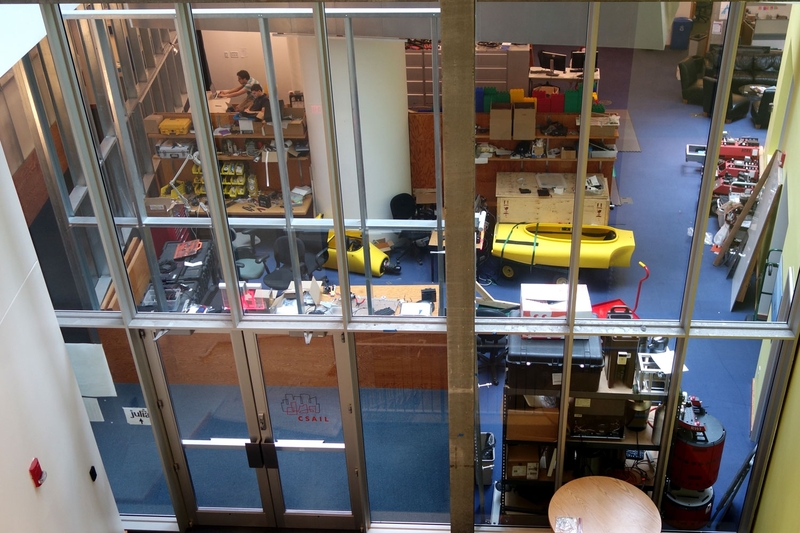 You can wander into any of the buildings on the map but the labs and exciting places are closed off to the public. We did walk into the robotics building but could only see part of the AI lab from the overhead walkway so Alistair was a little disappointed. The campus itself is a little boring; there isn't much greener and the buildings are all a bit grey and industrial looking. It was then on to Harvard which turned out to be much prettier. 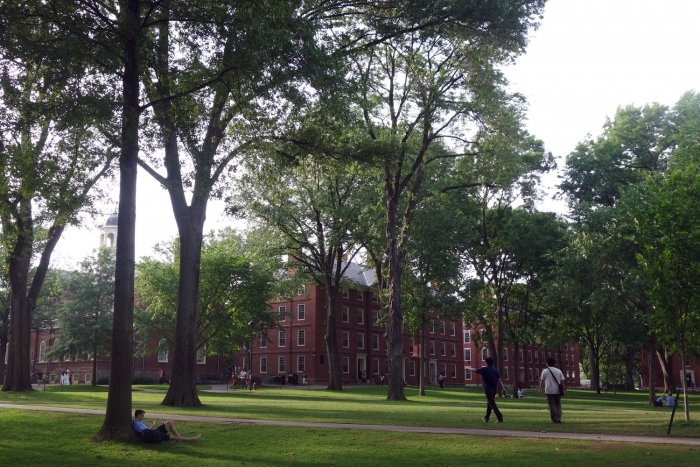 The buildings around Harvard Yard are all red brick and set amongst bid shady trees - I was a big fan! 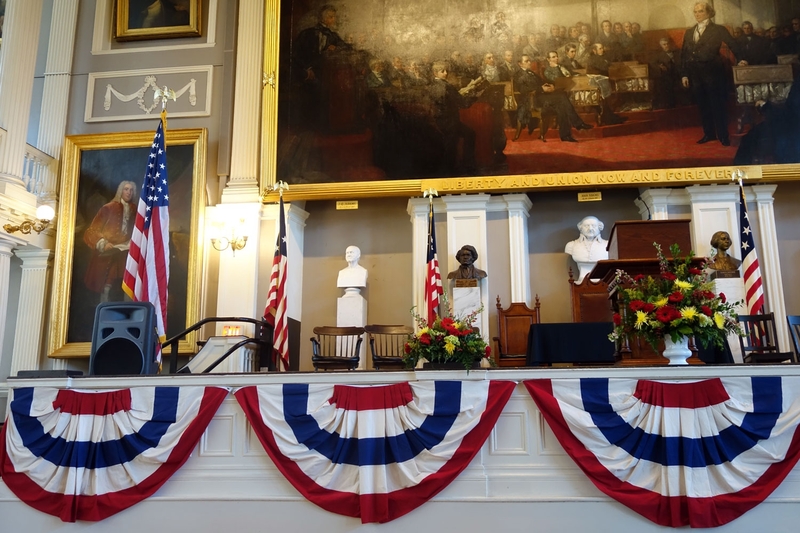 Harvard also do free guided tours for most of the year but these weren't running during our time sadly as it was exam season. 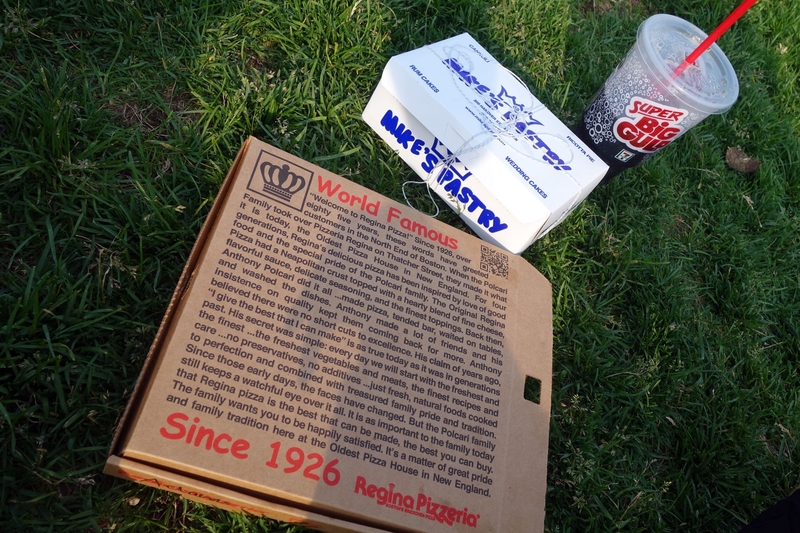 We grabbed a takeaway burger from Mr Bertley's Burgers a famous Harvard landmark which has been seemingly a frequent haunt of many celebrities and other famous alumni. 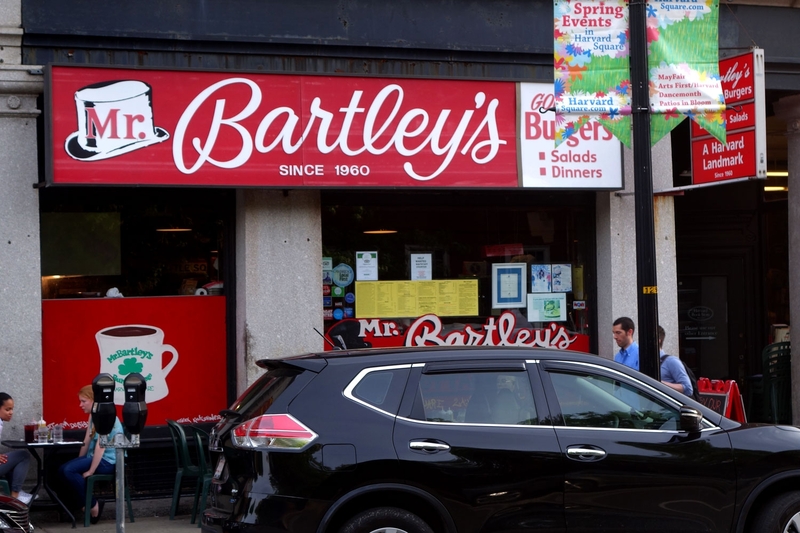 They have a huge selection of fun and original burgers as well so the food is actually good! 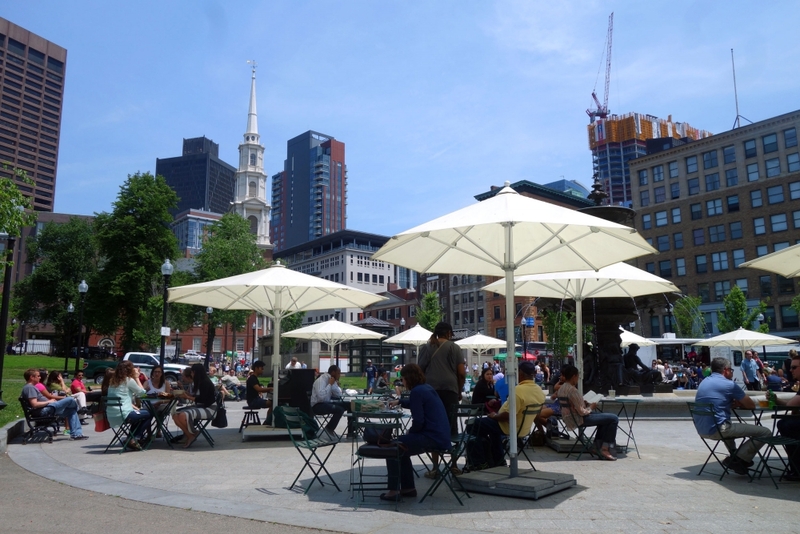 We sat in Harvard Yard and ate before promptly making our way to the cinema to see Jurassic World (we keep track of our film releases even when travelling the world). Our second day in Boston started with us walking the Freedom Trail. We had wanted to do a walking tour that was recommended to us by two good friends; Boston By Foot which is a tip-only tour but sadly it was booked up during our time there. The National Park service also do walking tours but they run quite infrequently until you hit summertime proper. 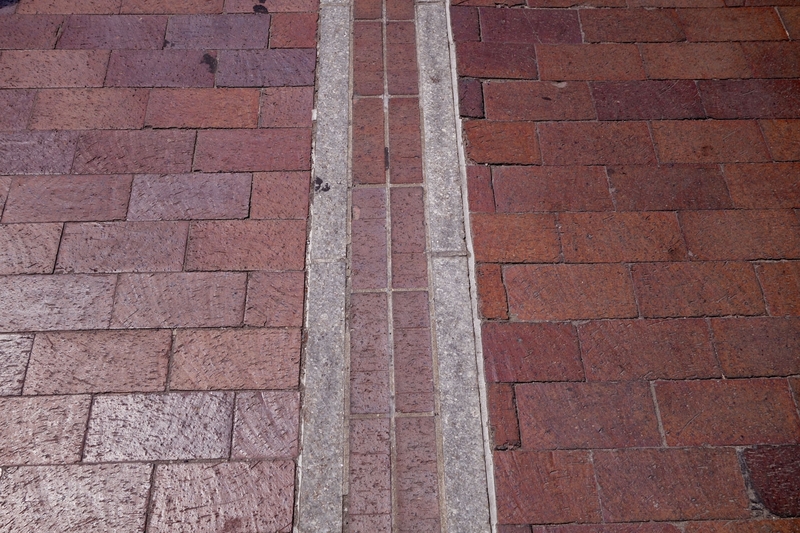 So instead we downloaded the National Park Service app and set off following the red line on the pavement which denotes the Freedom Trail Route right to its end. 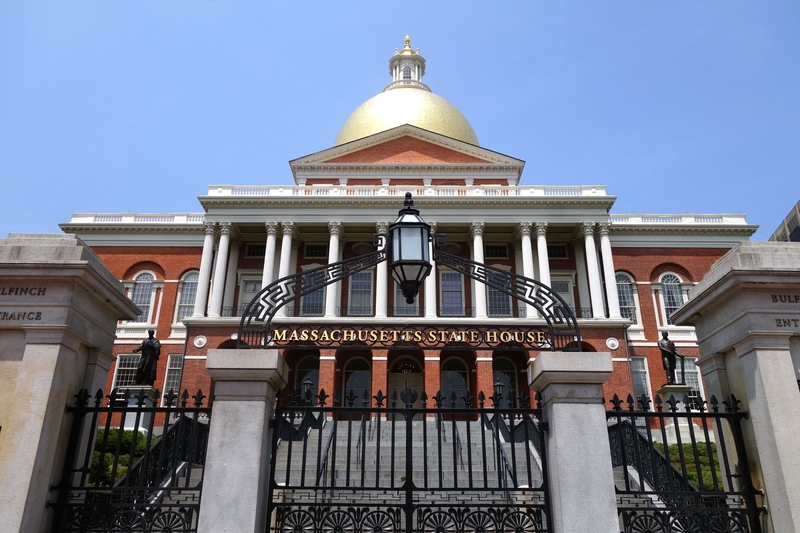 Our first stop was the State House within which we did a self guided tour (they do have guided tours but the next one was going to have 40 students on it so we decided just to do it ourselves). 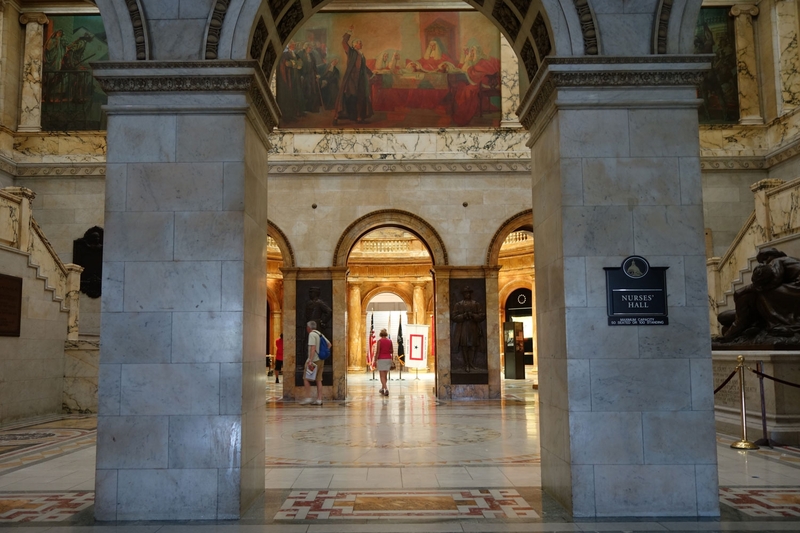 It was quite a pretty building and a quick first stop. 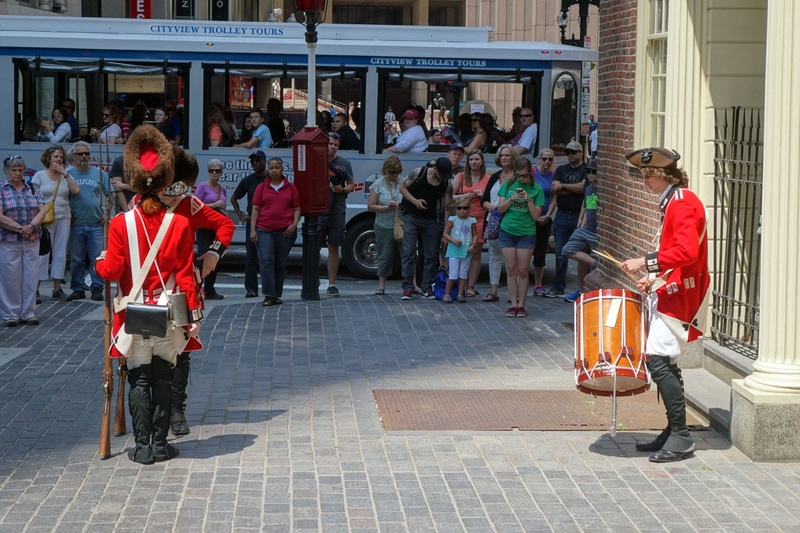 We then made our way through the streets seeing churches and old meeting places (we didn't pay to go into anywhere so just admired from the outside) and were treated to a couple of actors playing British Soldiers on the street outside the Old State House. 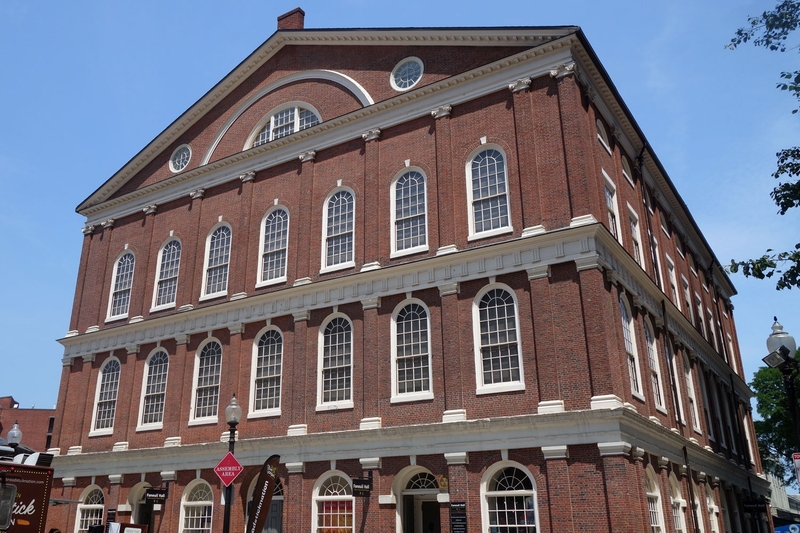 The next place that we actually went inside was Fanueil Hall which used to serve as a marketplace with a meeting place upstairs which it actually still functions as. You can wander around the market downstairs and then the National Park Service have ranger talks every half hour upstairs about the history of the place and its significance to Boston. After the Hall we headed for the USS Constitution, the oldest Navy commissioned vessel afloat in the world. 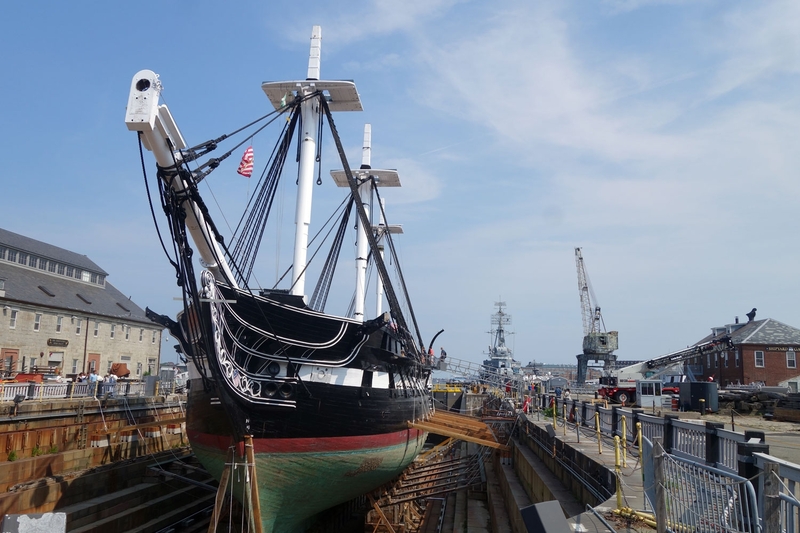 It is currently on a dry dock having work done to it but you can still have a look around. Sadly, I didn't have ID with me and you apparently need it to get on this boat (no idea why) so Alistair went on by himself whilst I sat sunning myself beside it. 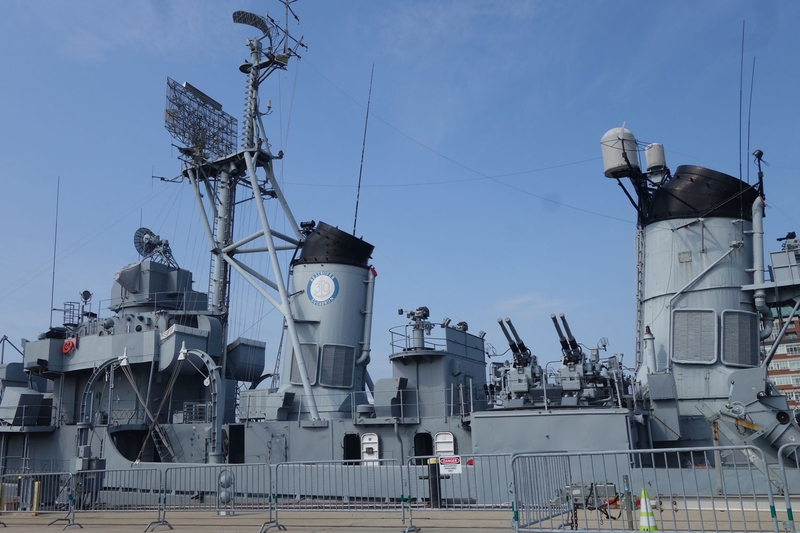 We then walked over to another naval ship in the yard which you don't need ID to get on (even though it is way more badass looking) and had a quick look around it. Our final stop on the Freedom Trail was the Bunker Hill monument and museum. 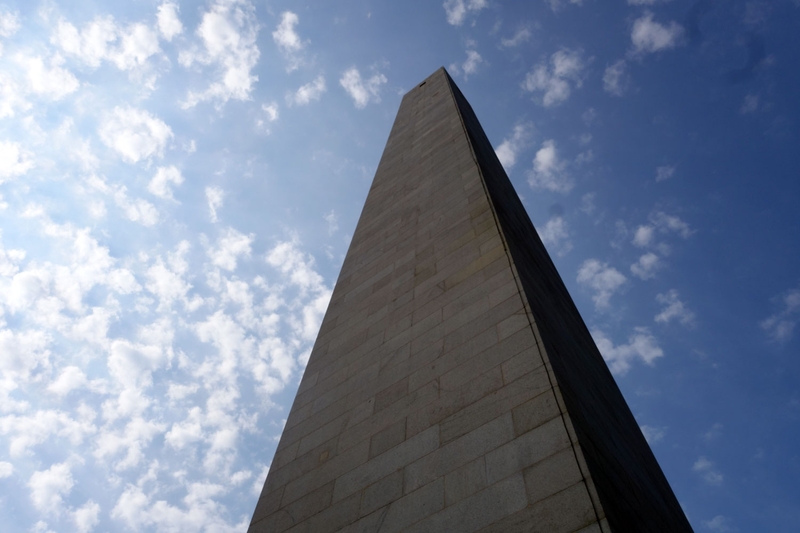 It was too late for us to be able to walk up the monument but we checked out the museum which had some pretty fun little exhibits about the events of the battle around Bunker Hill. We finished off our tour of historical Boston with some food recommended by the same two good friends above. 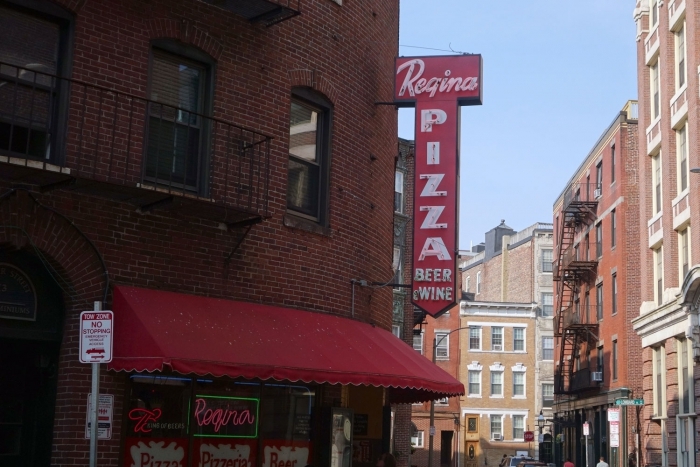 We got takeaway pizza from Regina Pizza in North End (it was really really good!) and some cannoli from Mike's Pastry also in North End (we had never had cannoli before and it was a lot heavier than we were expecting - we were so full after just one and had bought one each) and sat and ate these on a little park area just outside the Italian district; all in all a great day and it hadn't even finished yet! Currently it is Baseball season in America which was a little disappointing for us as we had previously seen the Yankees play in New York and so wanted to try to see Amerian Football or Basketball this time but sadly those seasons are over. 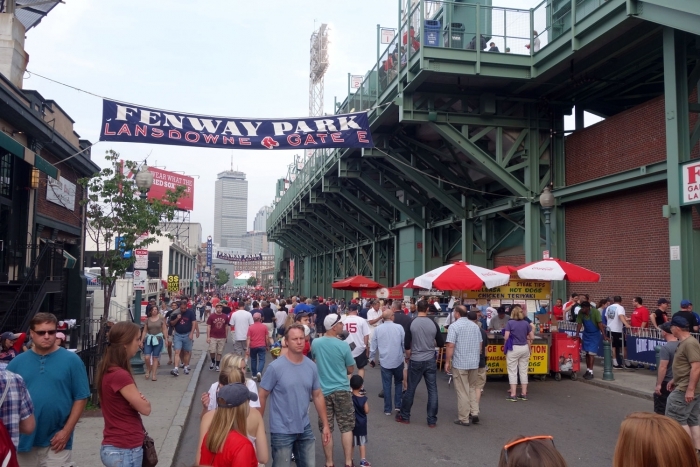 The Red Sox are such a famous name though that we couldn't visit Boston and not see them play at Fenway Park especially when there was a game scheduled and everything. The area just outside Fenway is full of restaurants and bars so is super lively. The game itself was fantastic; we couldn't remember the rules so spent the first hour or so trying to work out the scoring system again. We thought we had it mastered until the 7th inning (which we thought was the last) but everyone kept playing...we then figured that there must be 10 innings given that there were 10 slots on the manual scoreboard...we got that wrong too! The Red Sox had been winning for the first half of the game but then the Toronto Blue Jays (who they were playing) massively overtook them. 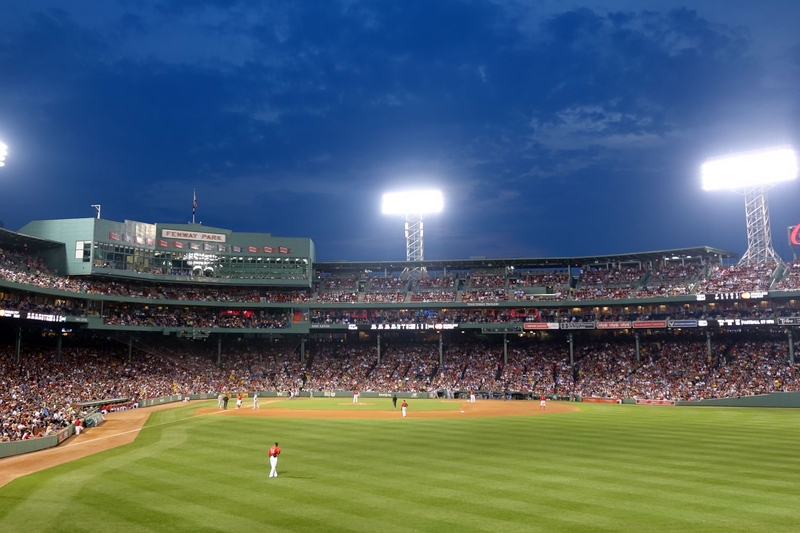 The Red Sox started to narrow the gap in the 9th inning so we figured they may claim the lead back in the 10th...but then the game ended and so the Red Sox lost...it's all very confusing! But at least the game was fun. Our favourite moment of the game was when a Red Sox fielder totally face-planted the wall whilst trying to catch the ball (don't worry - he was fine, he walked off the pitch himself! ).